Sport is a big part of our lives and it is important to stay active for our own health and well-being. But in some cases, injury can occur due to sport and other forms of non-competitive physical activity such as casual running and walking. At Podiatry HQ, we help in all aspects of assessment, diagnosis and management of sports injuries that relate to the foot and lower limb. Our assessments include a biomechanical assessment to test the range of motion of joints, assess muscle function and do a gait analysis to see what your biomechanics are doing whilst weight-bearing when walking and running. 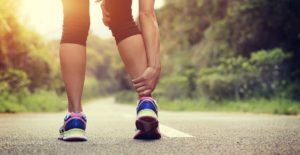 We treat all injuries that relate to the lower leg and knee, these can include: plantar fasciitis, stress fractures, shin splints, knee pain, overuse injuries, joint pain plus more. In addition, we provide advice for individuals who are starting to get active, who need assistance with footwear, a training program, and other aspects required for personal individuals needs when starting to train.